Graduates in this major have the professional preparation necessary to work with people of all ages with varying degrees of functional or organic impairment, as well as with the general population. Through art therapy, the practitioner provides an opportunity for nonverbal expression and communication, which can promote a reconciliation of emotional conflicts and foster self-awareness and personal growth. Graduates are prepared for work in a variety of settings, including psychiatric units in hospitals and clinics, community mental health centers, geriatric centers, drug and alcohol clinics, nursing homes, halfway houses, and special needs schools. Some may choose to work in private or public schools and agencies for mental health issues, learning differences, developmental delays, brain damage, deafness, vision impairments, physically challenged, and disabled children. The curriculum is designed to prepare students for a graduate program in the art therapy field, as students planning to become registered and board certified art therapists by the American Art Therapy Association must obtain a graduate degree. For more information on the Art Therapy minor, click here. For more information about the Art Therapy major contact Dr. Mary Ellen Hluska at (413) 748-4734 or the Admissions Office at (800) 343-1257. 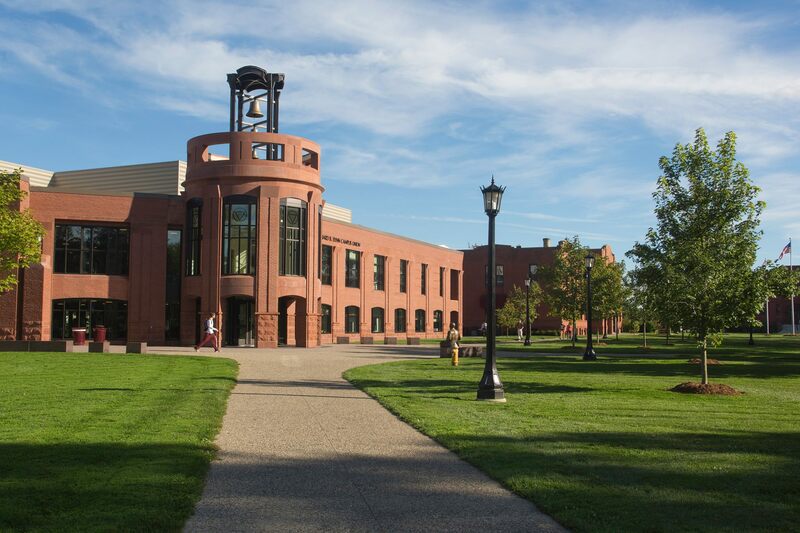 The General Education program at Springfield College is informed by its century-old Humanics tradition of educating the whole person in spirit, mind, and body, for leadership in service to humanity. These requirements have the goal of developing literate, thoughtful, socially responsible students, and instilling in them a spirit of inquiry into the nature of humankind and the universe. Towards those ends, the requirements emphasize and encourage: the acquisition of knowledge, understanding, and competency essential for the improvement of the human condition in a diverse society; a search for personal and spiritual values; and the development of an understanding and appreciation of physical well-being. For specific requirements, see the General Education Program section or the Program Checksheet for this major. A cumulative GPA of 2.500. A 2.500 GPA in all program requirements. A grade of C or better in all ARTS or ATPY courses. Once met, standards for advanced standing must be maintained to continue in the major. Students who do not achieve advanced standing by their 90th credit hour must change to another major. If the standards are eventually met, the student may petition the department’s Appraisal and Retention Committee to be readmitted. More information about advanced standing standards and the process to apply is available from the Visual and Performing Arts Department.